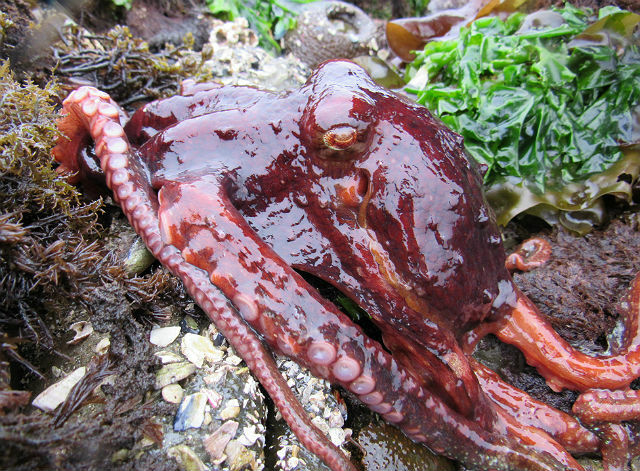 One of the unquestionable highlights of tidepooling in California was seeing this cool creature – the first octopus I’ve ever encountered in the wild. 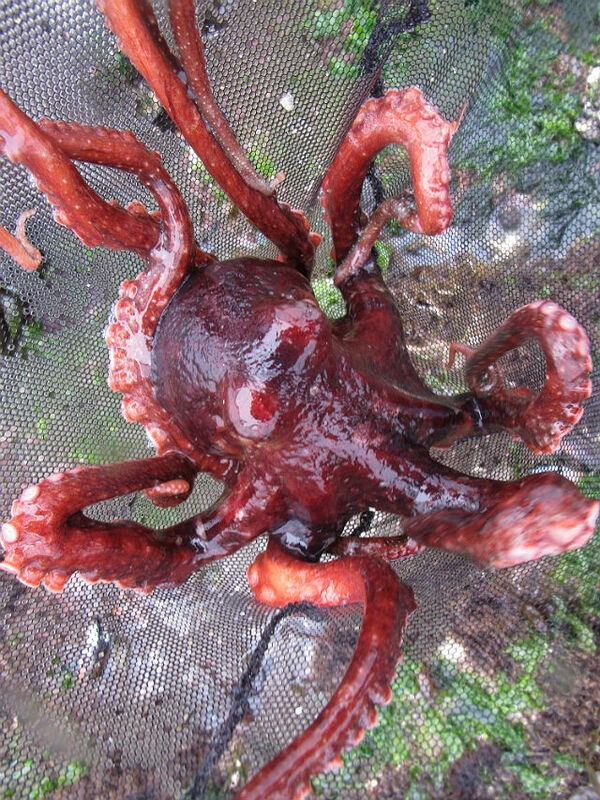 The Pacific Red Octopus doesn’t seem to be as picky when it comes to its diet as many other species of octopus and will consume whatever food they can find, like crabs, clams, barnacles and scallops. An octopus usually collects food at night and then retreats to its den to eat at its leisure. It kills its prey with venom secreted from its salivary glands, then cracks the shell with its sharp beak. 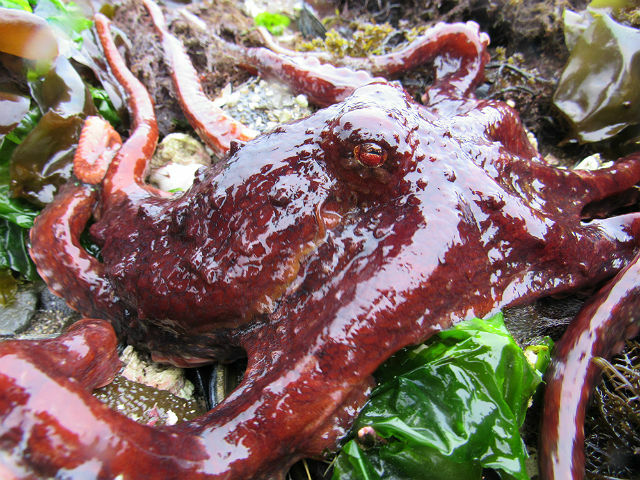 Although it has excellent eyesight, The Pacific Red Octopus uses touch and smell to find food; thousands of chemical receptors and millions of texture receptors line the rims of its suckers for the purpose of detecting food. 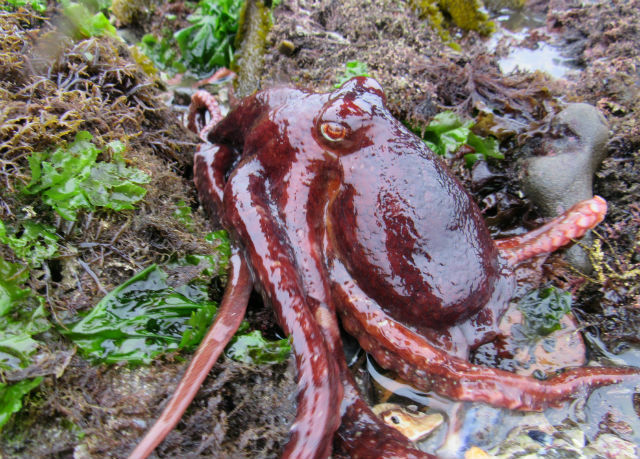 Like all octopuses, it can change its color and texture, making its appearance highly variable. 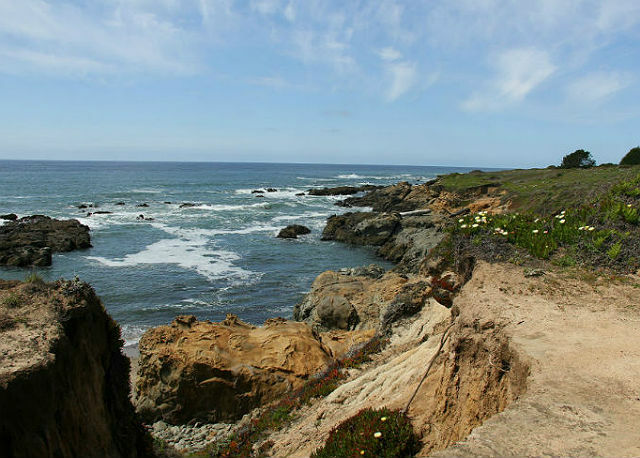 Color can vary from a deep brick red, to brown, to white, or mottled mixtures of the three. These are thought to be among the most intelligent of all invertebrates. 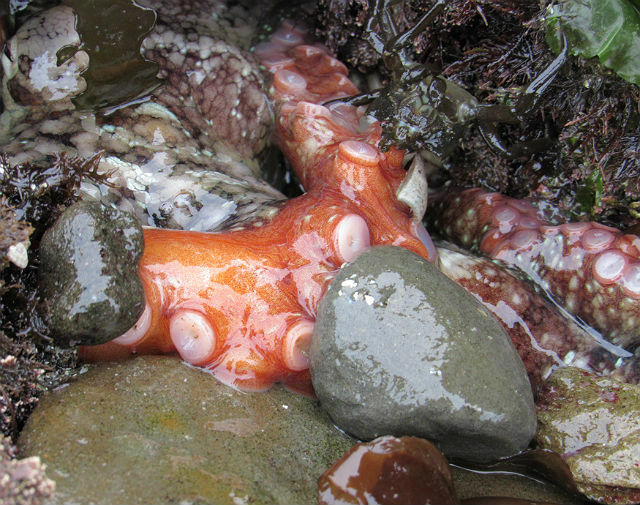 The presence of individual personalities is a hallmark of intelligence, and the Pacific Red Octopus was the first invertebrate in which individual personalities were demonstrated. This entry was posted in Molluscs and tagged Pacific Red Octopus by tspuckler. Bookmark the permalink.